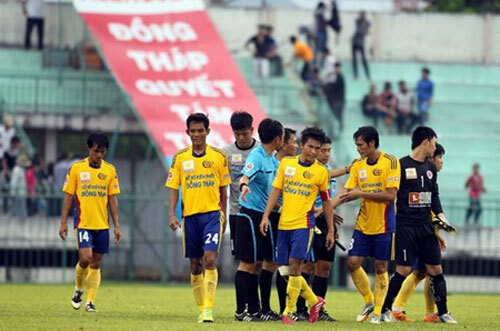 VietNamNet Bridge –V-League team Dong Thap have decided to quit the national premier tournament because of a lack of funds. In spite of a strong effort, the southern province of Dong Thap could not meet a mandatory VND35 billion (US$1.66 million) investment required to run a team in a season, as ruled by the Viet Nam Professional Football Company. Dong Thap used to be the leading club of the Western region. They won the national championship in 1989 and 1996 and provided a numbers of players to the national teams. Dong Thap, however, are maintaining their youth squads in preparation for a future comeback. Without Dong Thap, V-League will have 13 competitors in the 2015 season.